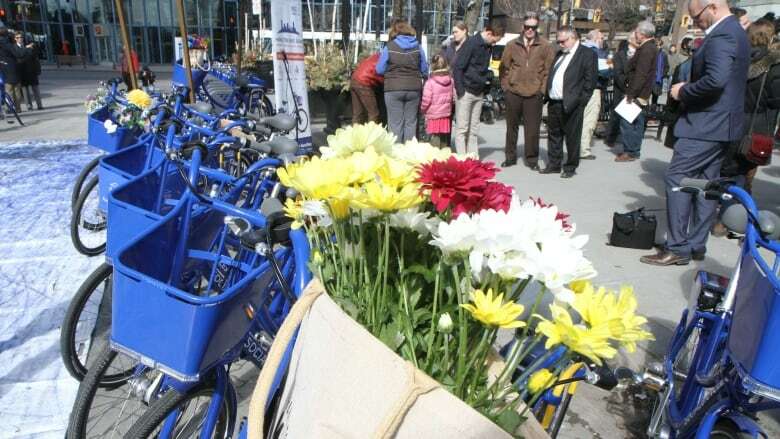 It's been a year since SoBi Hamilton officially launched in Gore Park. 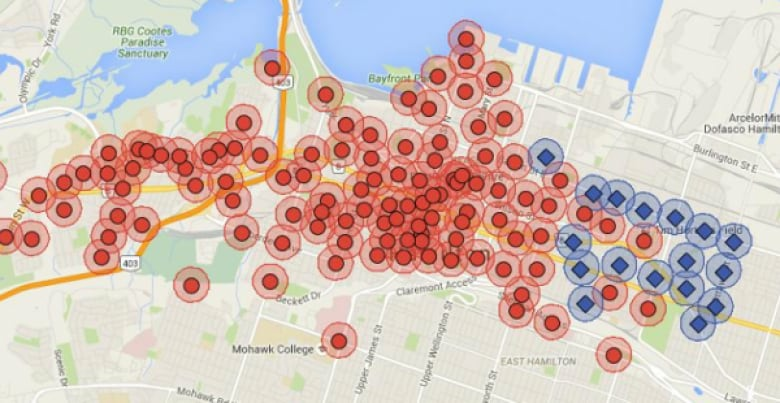 SoBi Hamilton, the city's bike share program, officially turns one year old on Monday. For half of the people who are riding the blue bikes, the program marks a significant shift: They were riding a bike less than once a month before SoBi came along. Now that the bikes are a ubiquitous sight in parts of the city, the program's directors look ahead to the second year. They hope to grow their ridership, use their data about where people are riding to support cycling infrastructure initiatives in the city and bolster their presence in the eastern side of their service area. "We're seeing the demand and the success and the uptake from the community," said Chelsea Cox, SoBi Hamilton's director of strategic development. About 10,000 people have signed up. Riders range from those looking for a quick afternoon spin around Bayfront Park to 300-km-a-month users like Owen Anderson, the magician and recreational SoBi super-rider whom CBC Hamilton featured in a story about the bike share a couple of months ago. Here are a few more numbers as the program officially turns one. Current active members: The system has 7,678 active users, an increase in the last few months of about 300 people. Trips per day: This dips with bad weather, but SoBi reports there were between 300 and 750 trips per day in winter. Time on the bike: People spend an average of 17 minutes per trip. Distance: Sobi covers a 40-kilometre area from Westdale to Ottawa Street to the escarpment in the south. 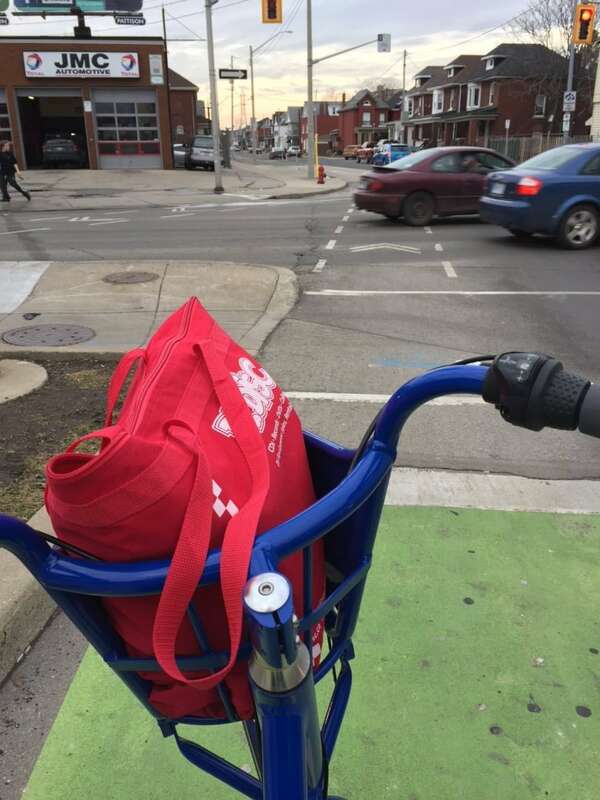 SoBi rider Felicia Caggiano posted this photo on Twitter last week of her first ride of 2016 so far. (Felicia Caggiano)The program has 750 bikes that can be checked into and out of 110 hubs around the city, from McMaster to Ottawa Street. Grants allow the program to extend memberships to lower-income people. But organizers want to flesh out their eastern service area with the same number of bikes and hubs as there are in the west. The program was initially funded by $1.6 million of provincial money the city earmarked to buy the bikes and set up the hubs. Now, the operations are handled by a nonprofit that relies on ads placed on the hubs, membership fees and grants. Cox said SoBi hopes to see the city pitch in some operations money to build on the program's success. As the city sees how many people are "depending on us for their daily transit option," Cox said she hopes the city will kick in some money to "make everything sort of bigger and better." Cox declined to state the budget of the nonprofit. Another way to increase funding to the system would be to recruit more members. SoBi hopes students at McMaster University, already some of the busiest hubs in the program, will vote in a referendum this fall to adopt a universal bike share pass that would be integrated into student fees.